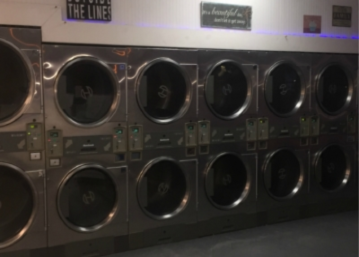 We have an attendant on duty at all times to help with your laundry needs and questions. 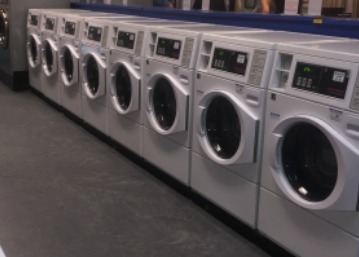 Our well-lit climate-controlled laundromat is clean, safe and comfortable. 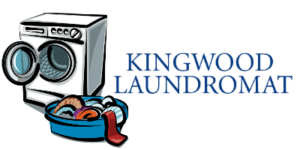 Our wash, dry and fold service comes in handy when you’re short on time or running behind with too much to do. Get your laundry done in 4 minutes —2 to drop off and 2 to pick up. Genius! 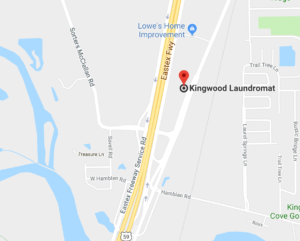 We are conveniently located in the U-Haul shopping center on Loop 494 right off Hwy 59 N. Feeder Road. There’s plenty of parking and free wi-fi to keep everyone happy while you’re with us! 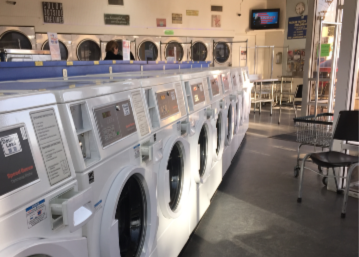 Whether your machine is on the fritz or you need an extra hand, our convenient wash dry and fold service will help you stay on top of your laundry mountain! Let us help! Whether it’s 10 tablecloths you forgot to wash after the party last year, or the team needs clean uniforms for a photo shoot, get it done FAST. Enjoy free wi-fi and TV while your laundry washes and dries. Whether it’s homework or away-from home work, we can help you keep up with school or work tasks. Don’t flip the couch cushions! We’ve got 2 change machines on site. Slide in a $1, $5, $10 or $20 bill and voila! Quarters! Laundry carts, folding tables, laundry soap vending machine and clean restroom for customers. Our snack and soda machines have a variety of treats to tame your hunger and thirst. When is the best time to wash? Tuesdays, Wednesdays and Thursdays tend to be quieter days. What time is the last wash? Last wash is at 7:30pm daily. All laundry should be in the washers and started by then. Do the machines take card payments? No, our machines are coin-operated only. However, you can pay for Drop Off Service with cash, credit or debit cards. Do I need to bring my own quarters? How much does it cost to launder comforters or quilts? 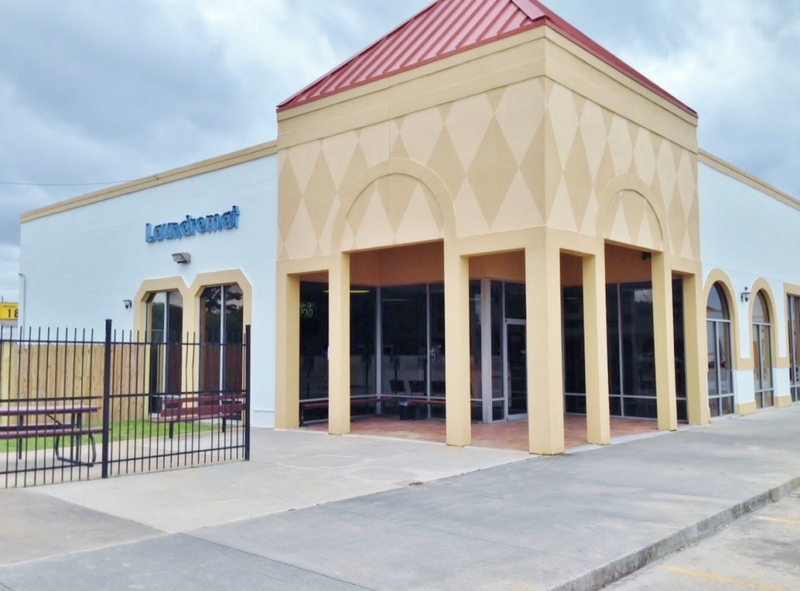 Is the Laundromat always attended? Yes, there is always an attendant on site to assist you. Yes, we bag and tag items left in the washers and dryers. If items are not claimed in 2 weeks, they are donated to a local charity. Will my comforter fit in the washer? 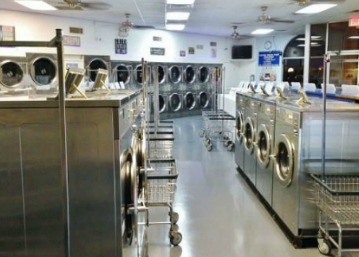 We have several large washers that will accommodate comforters—from twin to king size. Can I use PODs in the washing machines? Yes, you can. Please make sure to put the pods inside the washing machine before you put your clothes in. (Do NOT put them in the soap dispenser or we will have a huge water spill on the floor). What if I forget my soap or hangers? Laundry supplies are available for purchase at the store. 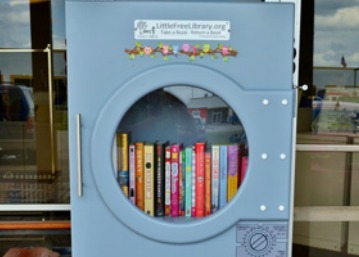 Can I bring my dog to the laundromat?